I saw some ants in the water in a lake last weekend, which led me to ask the question: Can ants swim? Early investigators in the 1800’s did some simple studies by immersing ants in water and found that ants can survive underwater for long periods of time. Thus, ants can hold their breath, a not very exciting finding. More recent studies, however, reveal some ant species can truly swim. Scientists in New North Queensland found a species of ant that nest in submerged mangroves. The ants hide in air pockets, but can also swim underwater. In fact, the researcher reported he wanted to film an ant, so he put it on a rock in a puddle to keep it confined until he was ready. The ant simply jumped into the water and swam away. Another astounding example of swimming ants is the tiny ants that paddle around in the liquid inside a pitcher plant. Pitcher plants are carnivorous plants, which means they trap insects inside a jar-shaped pitcher. Once inside, the insects decompose in a pool of the plant’s digestive juices. The plant can then use the resulting ooze as fertilizer, or food, for itself. The pitcher plant ants swim through this deadly liquid unharmed. Working together, several ants drag out some of the insects trapped inside and use them for food for their own colony. Does the plant regard this as thievery? 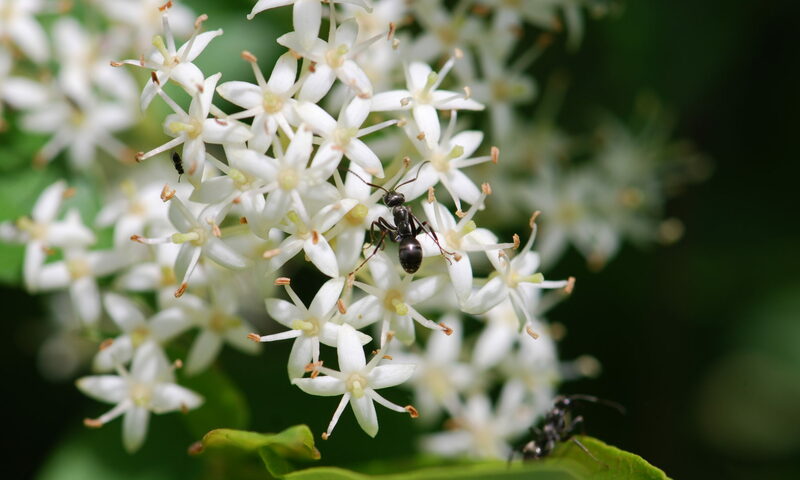 Scientists think the ants are actually performing a service, because if too many insects fall into the pitcher the liquid can get rotten and harm the plant. In fact, the ants live in specialized hollow tendrils and drink nectar, both provided by the pitcher plant. How do these amazing ants survive the digestive fluid and climb back out of the pitcher when no other insects can? Well, I guess I didn’t discover anything new. But next time I’d love to get swimming ants on video. Did you know that some ants can swim? C. M. Clarke and R. L. Kitching. Swimming Ants and Pitcher Plants: A Unique Ant-Plant Interaction from Borneo. Journal of Tropical Ecology, Vol. 11, No. 4 (Nov., 1995), pp. 589-602. As a Queenslander I must say I’ve never heard of ‘New Queensland’. I assume you mean ‘North Queensland’. Yes, it is North. I don’t know how that one slipped through. Thanks for catching that. Thanks for this very interesting article! I’m writing a children’s story with ants as characters and was wondering if I could believably have them swim. Thanks to your article, it looks like they get to have a dip! Let me know when and where the article is published. I’m sure some of our readers would be interested. The ants nest in the hollow tendrils of the plant, and feed on large prey items caught by the pitchers. i happened videoed an ant swam to the pond bank from a lotus leaf. it’s amazing, I always think ants can’t swim.